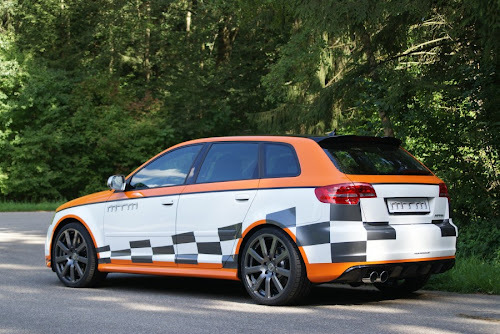 MTM has just revealed a new set of performance upgrades for the Audi RS3. 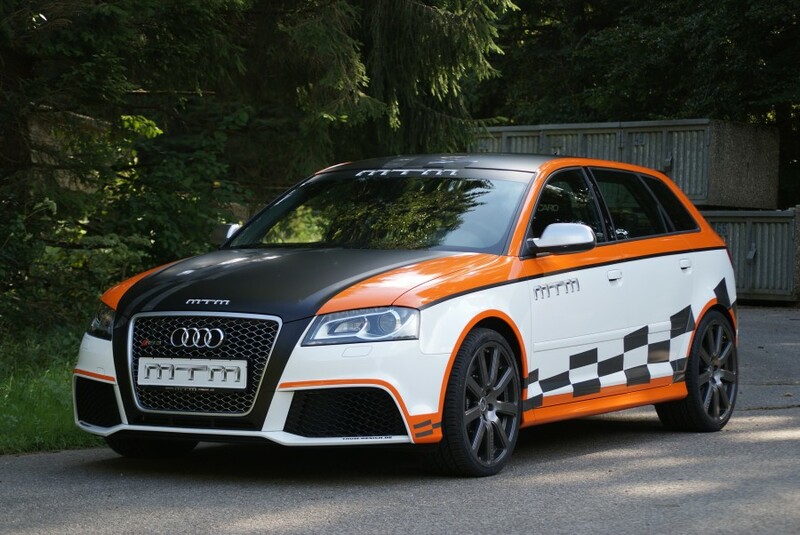 Thanks to items such as a modified MTM-motronic computer, downpipe, upgraded turbo, reinforced intercooler and more, MTM is able to squeeze up to an additional 132 horses from the RS3's five-pot 2.5 TFSI, for a total 472 horsepower. Not to mention offering a host of handling and braking upgrades, all worthy of a badge boasting three very special letters... M-T-M. More information and photos after the jump. 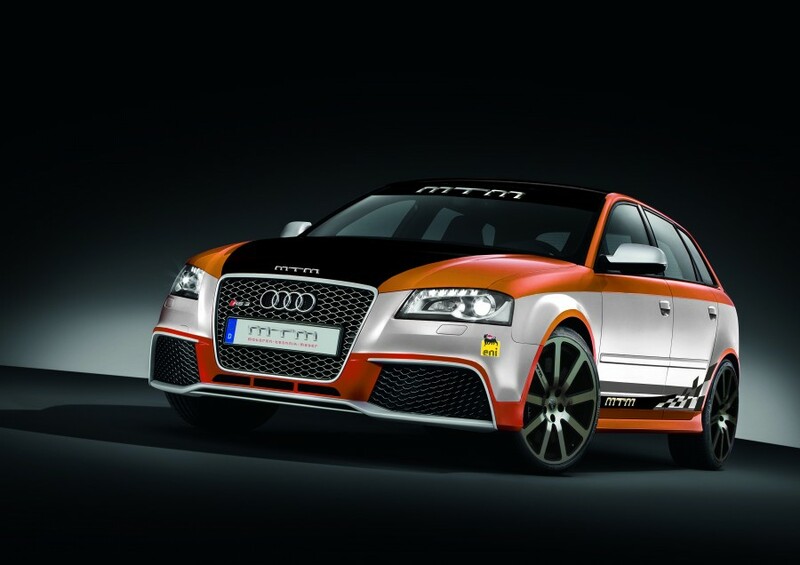 Under the hood, MTM offers three levels of tune for the RS3's 2.5 TFSI: 410, 424 and 472 horsepower. The first program consists of only a modified MTM-motronic ECU, boosting output to 410-hp, 405 lb/ft of torque and raising the top speed to 282 km/h (175 mph). From there, an optimized downpipe/metalcatalyst and reinforcement for the standard intercooler is available, raising power and torque to 424-hp and 413 lb/ft. Topping off the range is an upgraded turbocharger and spark plugs (added to everything listed prior), for a total 472 horsepower and 442 lb/ft of torque. 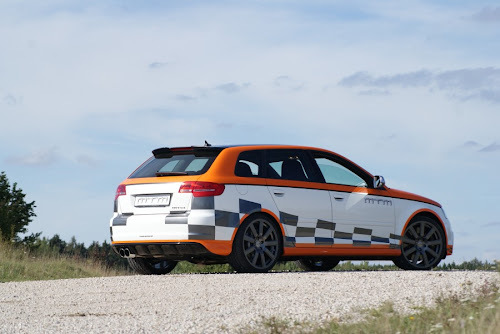 All told, in its most powerful form, the MTM RS3 is good for a sprint from 0-100 km/h in 4.1 seconds on to a de-limited top speed of 292 km/h (181 mph). 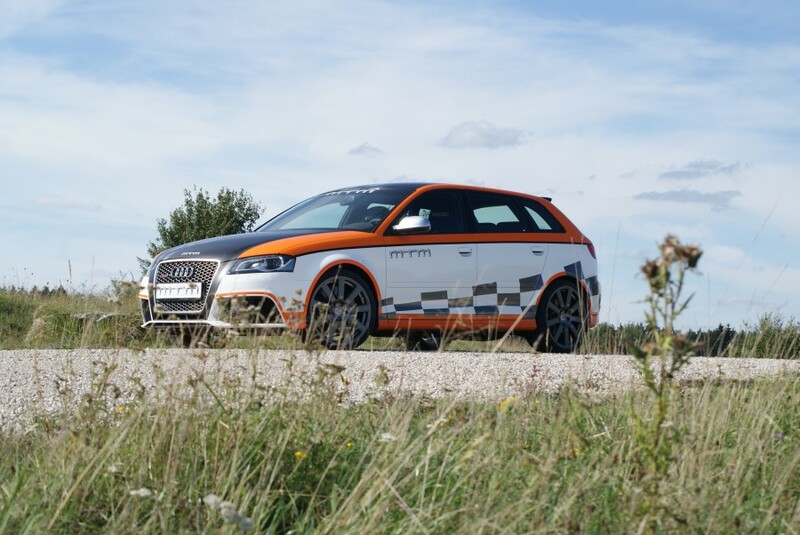 In addition to the three engine-performance options listed above, MTM also offers; a performance cat-back performance exhaust system (with throttle valve), bimoto design wheels (coming soon), F-cantronic air suspension upgrade (coming soon), sport brake pads, Brembo 8-piston brake calipers with 380x34mm rotors and a generation 4 Haldex ECU upgrade. Details and prices of each specific RS3 upgrade can be found at MTM's homepage here.